After implementing message carbons I realized that there aren’t any native OS X clients that support it. So as a little weekend challenge I tried to see how much work it would be to port Monal to OS X. I was originally an OS X developer but UIkit is so much nicer than Appkit and I didn’t want to get into that again. I knew about a project called Chameleon that ported UIkit to OS X . Unfortunately it has long since been abandoned and isn’t a complete implementation. Some critical portions like UISwitch and UITabbar are missing. 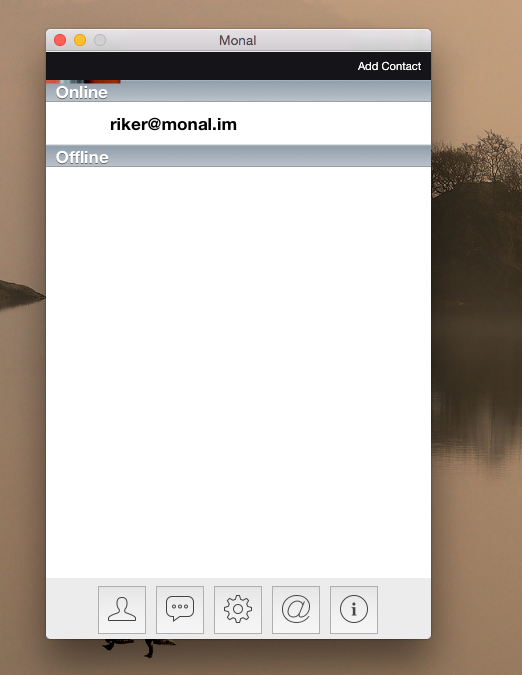 I tried it anyway and after about 5 hrs or minor code tweaks, I have Monal up and running on OSX. Its not pretty and clearly using UIkit like this isn’t a good idea from a UX perspective but for my purposes it works. Its useful to test carbons because the main point is to have a sync of messages between the desktop and mobile client. Using it a little bit I really miss having it all the time. Interestingly enough, as I was doing this I started seeing rumblings of UXkit. Apparently for the new Photos app on OS X, Apple did exactly what I was trying to do and ported UIkit to OS X. I hope Apple releases it. This exercise was a reminder that working with a more modern API makes Mac developer’s lives a lot easier. In the mean time I am seriously considering s release of Monal for OS X that has a real OS X UI (probably something like Messages). The code will obviously run and we desperately need an actively maintained native XMPP client. Adium is wonderful and the inspiration for Monal back in 2008 but I think a pure xmpp client with more features would be useful. Maybe some day when have time. 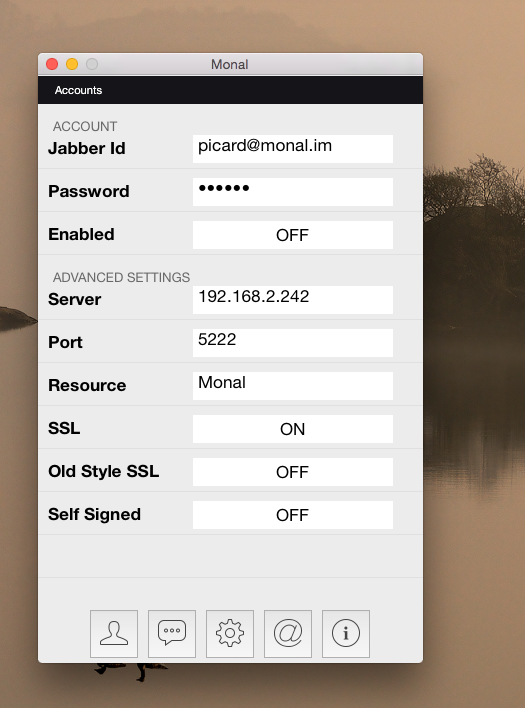 And now without further ado, Monal for OS X (this will never ever be released). It’s so ugly you could be mistaken for thinking it were and android app ;).